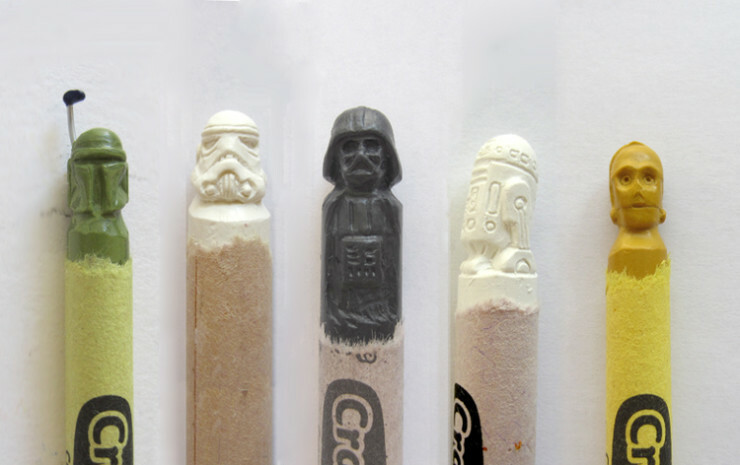 Intricately Carved Crayons Of Popular Geeky Franchises | OhGizmo! By David Ponce on 11/07/13 • Leave a comment! Game of Thrones is the most downloaded show in recent history. It resonates with people of the Internet. So does Star Wars. There are a few franchises that tickle the fancy of the demographic that spends most of its time online, and Etsy seller “CarvedCrayons” is hoping to capitalize on this with his intricate carvings of, well, crayons. 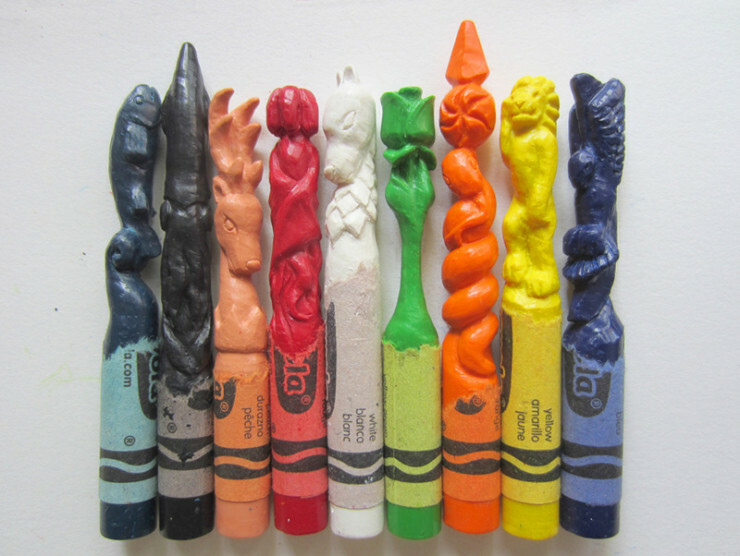 They’re seemingly well executed and since they undoubtedly require a really long time to make, fetch a relatively high price: each crayon costs about $40, while an entire set like the ‘Great House Sigils of a Game of Thrones’ pictured below will fetch $300. Think of it as art.